116 pages | 1 B/W Illus. Part One of this book includes a brief outline of Mol’s most influential theory as originally explicated in Identity and the Sacred (1976). This is followed by a look at the initial reception of that theory in relation to the competing concepts of Mol’s contemporaries. Part Two is comprised of four previously-unpublished essays written by Mol during the 70s and 80s. Covering topics from evolution to evangelicalism, the papers display the sweeping ambition of this sociologist as well as the tone and contours of his intellectual articulation. In the Postscript this volume concludes with select transcripts of interviews conducted between Adam Powell and Hans Mol during the Spring of 2012. This volume of Mol’s work will be of keen interest to academics and students with an interest in the sociology of religion post-World War II and the development of contemporary Christian theology. Roberto Cipriani, Senior and Emeritus Professor at Roma Tre University, Italy & Former President of the ISA Research Committee ‘Sociology of Religion’. 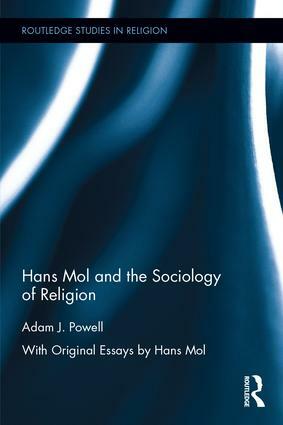 ‘In this admirably thoughtful study, A. J. Powell has provided a timely reminder of the achievement recorded by Hans Mol, whose Identity and the Sacred (1976) left a notable imprint on debate among specialists in both the sociology and theory of religion during the later decades of the last century. Dr. Powell contends, rightly, that Mol has been an underappreciated figure, too readily depicted as "yet another functionalist" at a time when his dialectical conception of religion as the "sacralization of identity" offered elements of originality more evident and discernible today—in newer light cast by current shifts in theory and criticism. Mol has remained steadily productive over his many years, and fully half of the volume consists of four of his previously unpublished papers, offering a convenient occasion to measure the assessments made by Powell as author against the texts with which he has enriched his readers as editor. He is properly mindful also that in Mol’s case especially, biography is integral to theory. Alongside engagement with theologian Karl Barth, two years as a captive of the Gestapo in his native Netherlands during World War II brought an awakening of Christian Calvinist faith that Mol, now at age 94, has never left behind, and that we can see as not irrelevant to the distinctive stress on "commitment" that he saw as one of religion’s defining essentials. Could it be this idea, traceable to his existential wartime experience, that led Mol also to swim presciently against the tide of prematurely framed secularization theories? Adam J. Powell is COFUND Junior Research Fellow in the Department of Theology and Religion at Durham University, UK. He has presented numerous papers and lectures on the sociological theories of Hans Mol and has previously published an edited collection on Hans Mol’s work entitled Sacred Selves, Sacred Settings (2015).